Celebrating your wedding in Sanremo means a union between your love and the colours and perfumes of this special place. Where and When? The details of your civil ceremony. 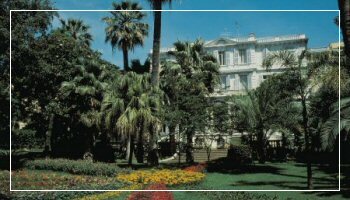 In Sanremo, in the elegant celebration hall of Villa Zirio, you can arrange your civil marriage ceremony any Thursday (excluding local and national holidays) at 11.00 (office hours). Ø Your birth certificate translated and authenticated. Ø General details, home addresses and professional details of the two witnesses. 116 last subsection civil code and 106 of the R.D. 09/07/1939 n. 1238 ). Ø You need to present yourself, a minimum of three days before the date set for the ceremony, at the “Ufficio di Stato Civile” (via Martiri della Liberta 15 – tel.0184 – 592571, fax. 0184/502212 ) for the inspection of the documentation and to hand in the declaration mentioned above in point 4. Ø You must have an interpreter with you for the declaration in point 4 and also in attendance at the marriage ceremony.